Team Hope through Cannabis (THC) is Texas NORML’s fitness and racing team. Join us (free!) 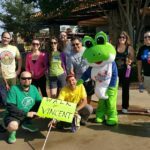 as we participate in charity walks and races around Austin. Membership is open to all, regardless of fitness level. We love your support at the finish line too! Let’s change some stereotypes, educate our community and GET ACTIVE…together! Order your official Team Hope through Cannabis shirt HERE . GO THC!! New events will be posted HERE and announced at the monthly meetings. You can follow us on Facebook. 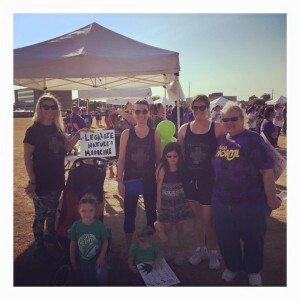 Texas NORML participated in the 2016 Muscular Dystrophy Association “Muscle Walk” in honor and memory of our friend and fellow activist, Vincent Lopez. Vincent was an inspiring and passionate advocate for patients’ rights and the NORML mission before Becker’s Muscular Dystrophy took him from us far too soon on 10/19/15. 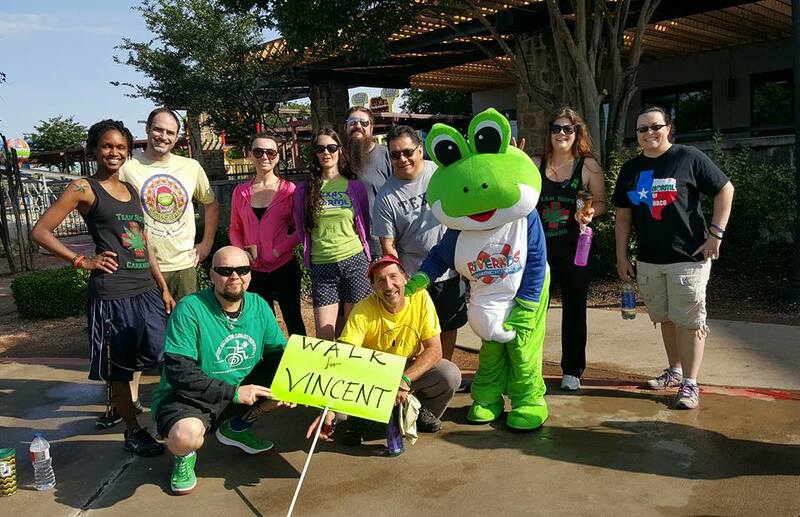 We were honored to have 26 people come out to support Vincent and the MDWalk. We were also able to raise $250 tht was put directly to researching BMD. We will continue Vincent’s fight for legislative change until patients have legal and safe access to cannabis, if they choose to include it in their treatment plan. THC showed up in a big way at this race, which benefited Project Angel Fares. Texas NORML runner, Andrew P., blazed the course with a lightning fast time of 19:52. He received 3rd place overall, adding another medal to Texas NORML’s collection. Thank you, Andrew, for your amazing effort and representing THC in such an impressive way down in San Antonio! 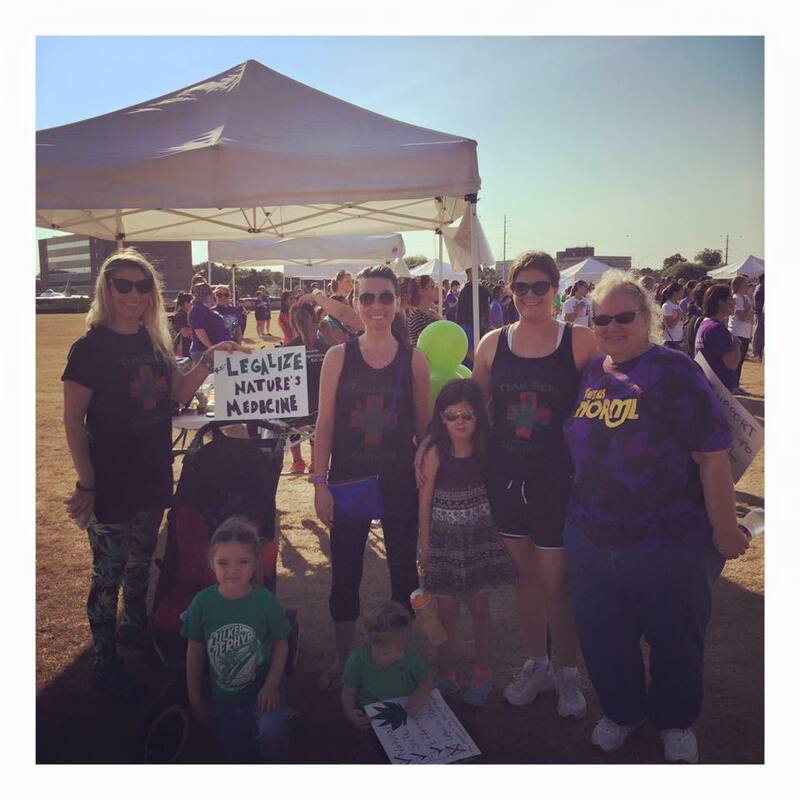 Team Hope through Cannabis was warmly received at this annual event. This was our second year participating as a team and interest in our message continues to grow. Research has shown that cannabis can be a powerful weapon in the fight against this disease and we were able to spread the word that legalization is critical for further study. We raised $235 through our fundraising effort. Thank you to those who contributed! 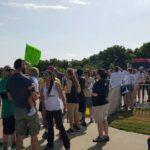 We walked together with our community in honor of those we have lost to the disease and to show our support for the use of cannabis as a legal treatment in Texas. Team Hope through Cannabis charged back on the scene in this 5K race hosted by the Austin Police Department, honoring our community’s first responders and benefiting Special Olympics. First-time racers and seasoned activists joined together and seriously smoked the course. Our participation generated $175 for Special Olympics, blasted down “lazy stoner” stereotypes and built bridges within our community. One of our runners placed second in her age group, receiving a medal, a handshake and a “Thanks for the work you do” from the Chief of Police. GO THC!!! Team THC attended the final Austin Aztex home soccer match of the 2013 season. We made some great new connections and supporters there. The Aztex got a shutout win and clinched their division that night. 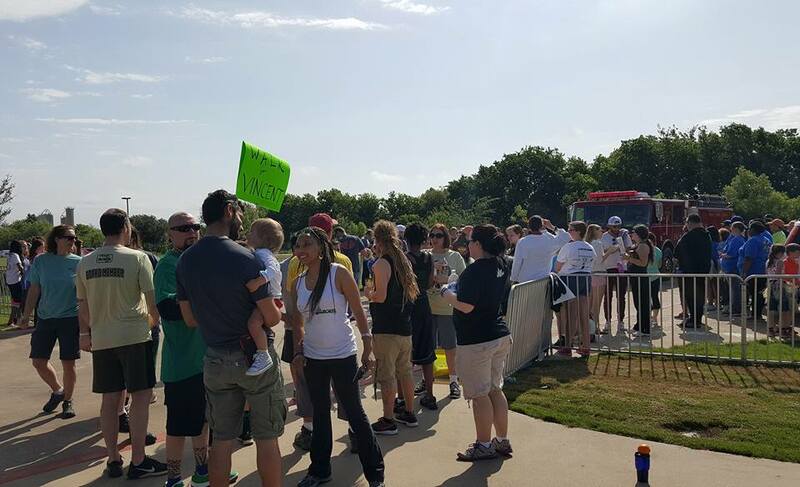 In memory of the victims of the Boston Marathon bombings, Team Hope through Cannabis (THC) participated in the Fighting Blood Cancer 5K at Walter E. Long Park in Austin on May 18th, 2013. 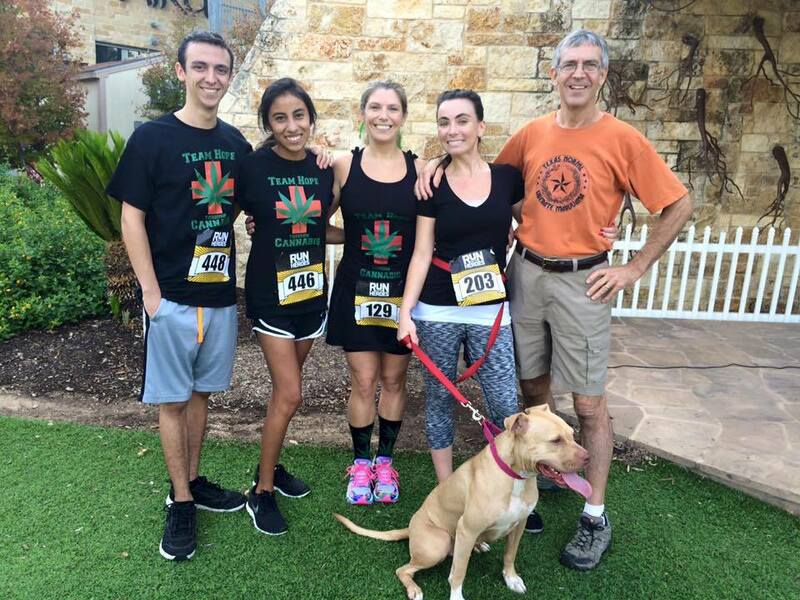 Team Hope through Cannabis conquered the course at the largest 10K in Texas on April 7th. Ten THC athletes raced past the Capitol and through the neighborhoods of beautiful downtown Austin, showing strength in ability and conviction for ending marijuana prohibition. 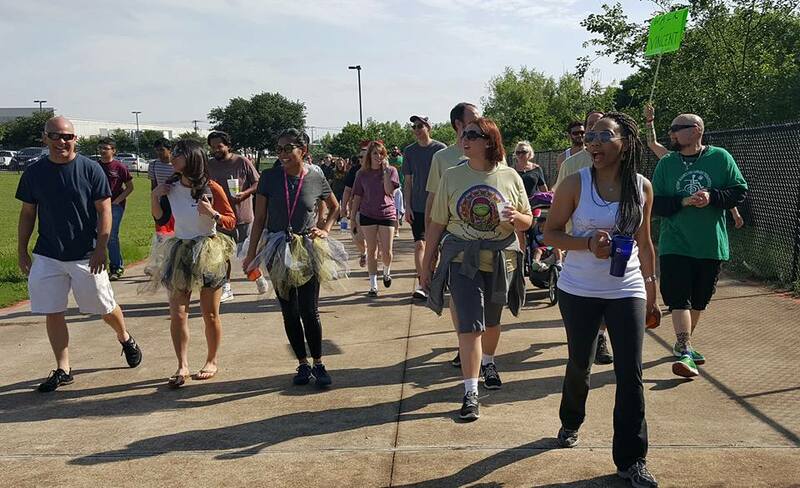 Our 6.2 mile efforts generated $350 for the Dell Children’s Medical Center! 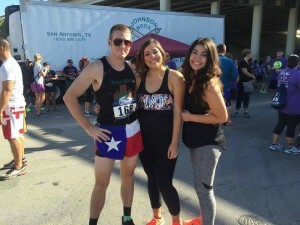 THC took over the streets of San Antonio, as we participated in our first half marathon! Athletes were supported by several Team Hope through Cannabis volunteers, who made sure runners were hydrated at the Mile 3 water station and given well-earned medals at the finish line. We commanded respect, created a buzz and were able to donate nearly $80 to the Leukemia and Lymphoma Society. We conquered the hills and greens of Riverside Golf Course to raise money for Austin Community College student scholarships. Proceeds were matched by the ACC Foundation, allowing Team Hope through Cannabis to donate $100 to the student scholarship fund! THC made our Williamson County debut as we night-raced through a sprawling holiday light display. 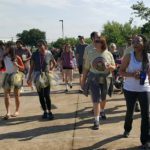 We raised awareness among our neighbors to the North and contributed $155 towards building an all-abilities playground in Round Rock. THC and 25,000 of our closest friends ran 5 miles through downtown Austin on Thanksgiving morning. We received lots of love along the course from our fellow Trotters and were happy to donate $140 to Caritas of Austin. So much to be thankful for in 2012…especially if you live in Washington or Colorado! The properties in marijuana have been shown to be extremely promising in treating Alzheimer’s Disease. THC made several new friends as we walked through the neighborhoods of NW Austin to support Alzheimer’s awareness and advocate for the legal right to ALL available treatment options. This year, our generous supporters helped us raise $770 for the Alzheimer’s Association. Next year, let’s aim for $1000! 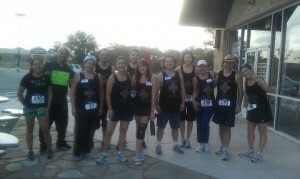 What a great turnout for our maiden Team Hope through Cannabis (THC) race!! 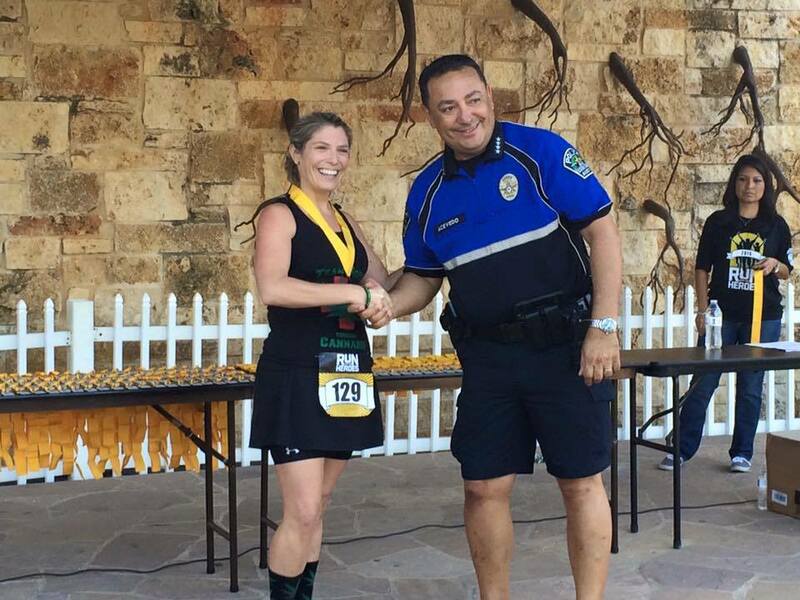 We raised $194 for CASA and Austin Pets Alive and were received warmly by all in attendance, including the Austin Police Department and the Sheriff’s Association: sponsors of this fun event!